With more and more brands looking back in time for their next future watch, it’s clear that desire for vintage timepieces is booming and the right one can clock up a great price. Watches are classed as vintage if they date from World War One to the 1960s. They can provide a one of kind uniqueness but can be totally intimidating if you have no idea what you are looking for. Just like beer and vinyl are in demand now, vintage watches are no different, capturing an era of classic design and fine craftsmanship that many collectors long for, with their affordability making them a much more appealing alternative for many. We look at some classic timepieces and what makes ‘vintage’ so popular today. To be the first owner of a watch can cost a considerable amount. New watches are subject to VAT and depreciation so the economics of buying a vintage watch has real appeal, especially for younger people. If you’re looking for a highly sought-after watch, you’ll probably pay over the odds for the modern version but the two are generally not comparable. The vintage will continue to go up in value, while the modern one won’t. More than worth though, with Rolex, there’s the opportunity to complete sets of variations, discover unknown versions and track the development of particular models. 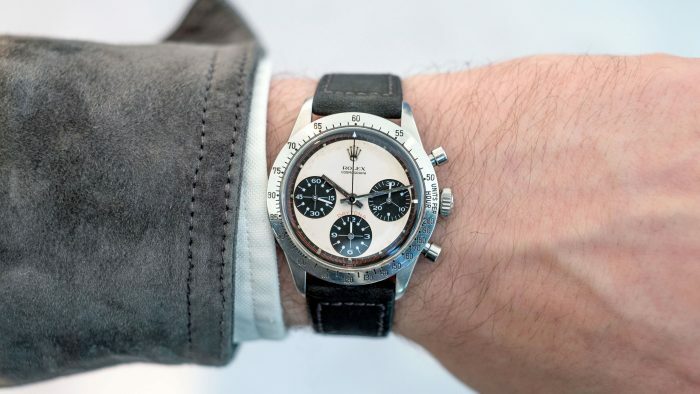 There are no guarantees when it comes to investing in vintage watches but recent auctions have proven that certain brands and some specific references are reliable, including Rolex Daytonas and vintage submariners. When Hollywood legend Paul Newman started racing, his wife allegedly bought a black and white ‘exotic’ dial Daytona. The monochrome dial became linked to the actor and collectors began calling the models Paul Newman Daytonas. In 2017, his Daytona became the most expensive wristwatch ever when it sold for almost $18 million. Vintage watches tell a great story – they’ve been loved way before you clapped eyes on them. Their age can be seen in their general conditions and detail of the dial. Ageing can add value to vintage timepieces and there’s always the chance that if you don’t purchase a watch you’ve spied, you won’t see one like it again. Owning a dated watch shows you have an appreciation for heritage, quality design and class goods. 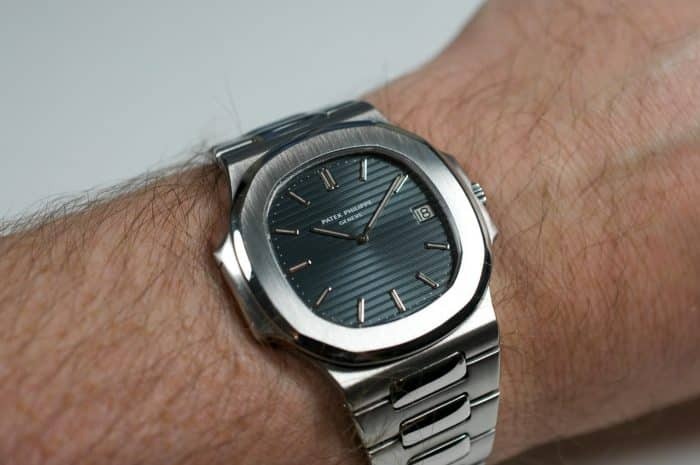 Whether it’s a unique take on a power reserve or has unusual movement, many of them use old technology that can only be found on certain models. 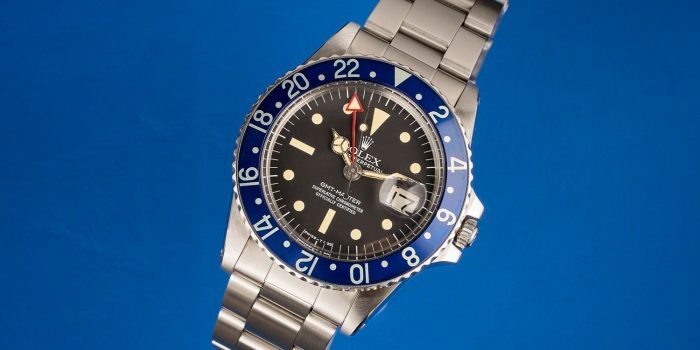 Rolex’ reference 1675 ‘Blueberry’ GMT has an all-blue bezel insert which ranks among the rarest and most elusive inserts of all time. This shade of insert wasn’t originally offered to the public so production numbers were limited and there are hardly any official records about them – making them even more in demand today. Audemars Piguet’s watches were popular from the start but it was in 1972 when it became a hugely successful watch brand with the introduction of a luxury sport watch – Royal Oak. And even today, it’s worth a lot of money – incredible considering its designer, Gérald Genta only had 24 hours to create the watch. Nine in ten Audemars Piguet watches are Royal Oaks. The combination of fine craftsmanship and rich history makes them a worthy collectable for watch fans alike. Looking for the perfect vintage watch? Our experts here at Luxe Watches can help you find your perfect vintage timepiece. Whether it’s a pre-worn Submariner or a classic Audemars Piguet Royal Oak you’re after, we can help. Visit our Essex boutique or contact us online.